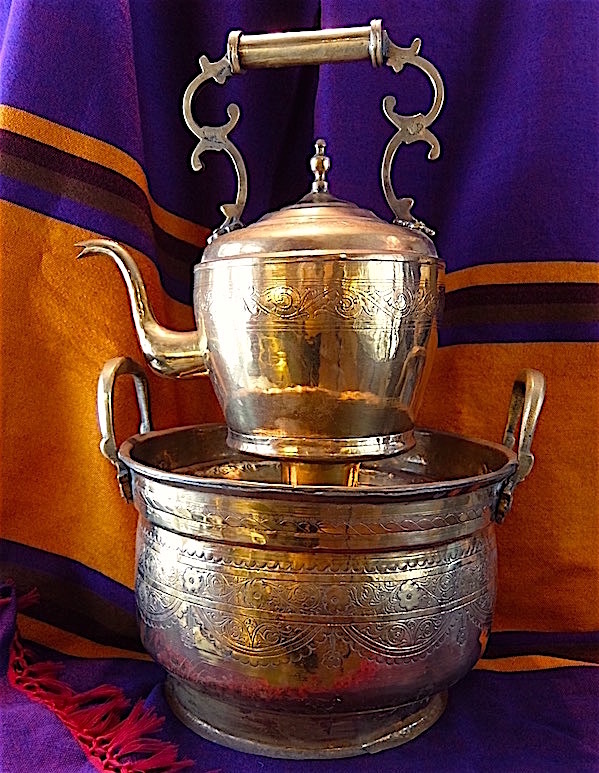 Handwashing before a meal in a Moroccan household was traditionally managed by the host bringing a ewer and bowl to every guest in turn. 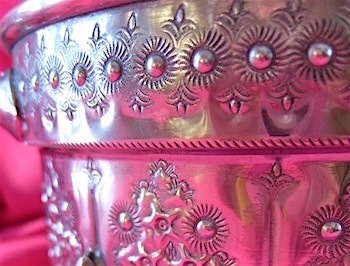 Each would wash their hands over the bowl, so that the water would drain through the decorative pierced surface into the bowl. A few seconds with a clean towel and all were ready to eat. These vintage sets are becoming more difficult to find as they have not been used in modern Moroccan households for many years. Lovely old, richly burnished brass in this three piece set, consisting of kettle shaped ewer with lid and round bowl with carrying handles. Elements of the decoration on the bowl are repeated in a simpler form on the ewer. There are some slight condition problems consistent with its many decades of use. This is a special piece for a collector. 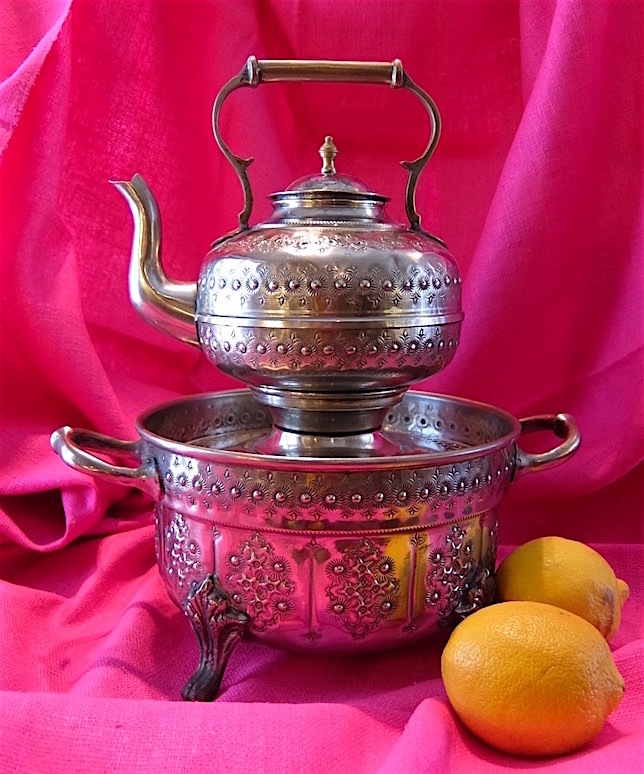 Bright "metal argent" ewer and bowl, probably made in Fes. As with the brass set, elements of the decoration in the more extravagantly patterned bowl are repeated in the ewer, and very crisply executed throughout. This is a slightly smaller set than that above, but equally appealing in its own fashion.